Doubles down on Guns N Roses theme song--bad Jumanji filmmakers! Bad! The debut of a second official trailer for Jumanji: Welcome to the Jungle, let optimism shine it's goofy face on my otherwise dour, cynical visage. Was that a slight homage to the Robin Williams Jumanji of old? Did they just acknowledge its existence? I believe they did, Pinky. I believe they did. Thank you for that--in some minor way, it alleviated half the issues audiences of the original film likely held. Namely, the vast difference in game consumes / becomes reality mechanism, and that the original film had happened. There's the allusion to the game being found on a beach, and there's a nod to the difference in game-play mechanisms with the simple allegory, "But the game always finds a way" (board games being too 'boar'ing to tempt anyone to actually play them. And then, right about when Welcome to the Jungle starts to play (and don't get me wrong--I love GNR and this song, but not in the context of beating me over the head with it as a movie's title gimmick) things go awry. Yes, rock music is still cool. No, you don't need to score every movie's trailer to it with synchronized hits. Suicide Squad tried to hop on the Guardians of the Galaxy bandwagon last year, you can see it currently happening in the trailer for the Deathwish reboot, and now Jumanji's doubling down, adding the requisite gun-cocking pause here. But, let's be real--this is minor, trite complaint territory. That's just a question of whether or not they're doing a good job of selling me on this movie (no). 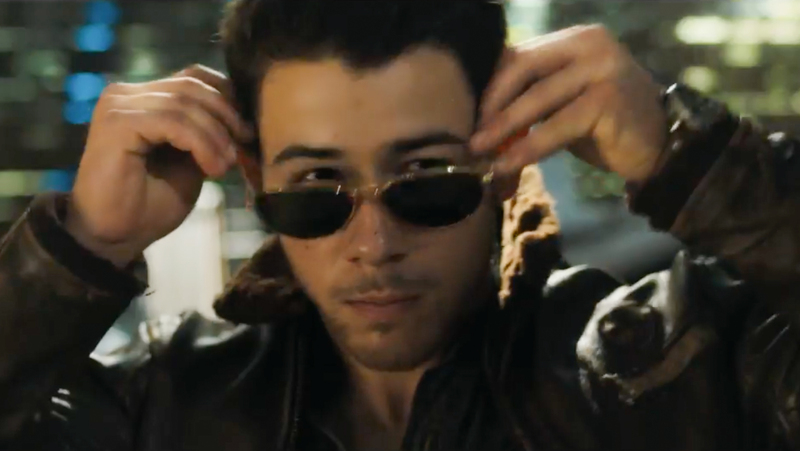 What's of more concern is the sudden appearance of Nick Jonas as a key figure (1 of 5) on the trailer freeze frame, or when mentioning that each of the avatars has a special skill they show the Karen Gillan being a ninja, the Rock beating some dude's face, and Nick Jonas putting on a pair of sunglasses. Is this a joke? Are they being that clever as to point him out as pure eye candy designed to draw in an additional 100K viewers? Regardless, any analysis of the trailer beyond that point was futile. So we'll leave it there, except for a question: does this frame hint at a possible crossover with the Marvel Extended Cinematic Universe? 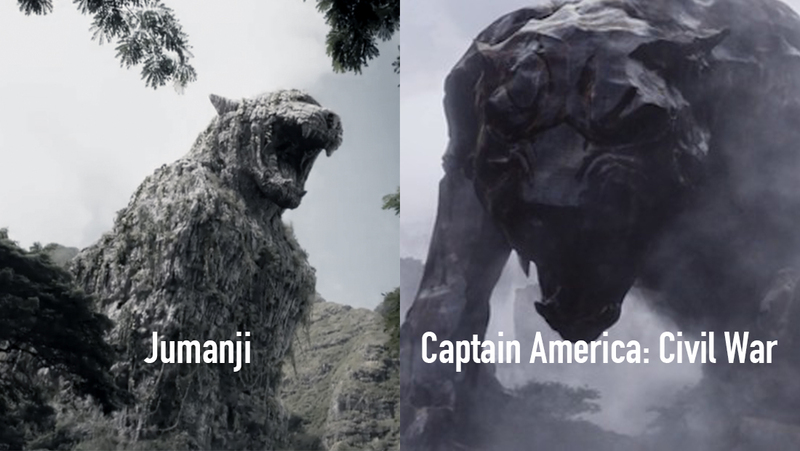 Is Jumanji actually Wakanda? You be the judge.